When your daughter gets money for Christmas, she'll want you to take her to Toys R Us. She'll probably convince her Daddy to take her, because she has her Daddy wrapped around her little finger. 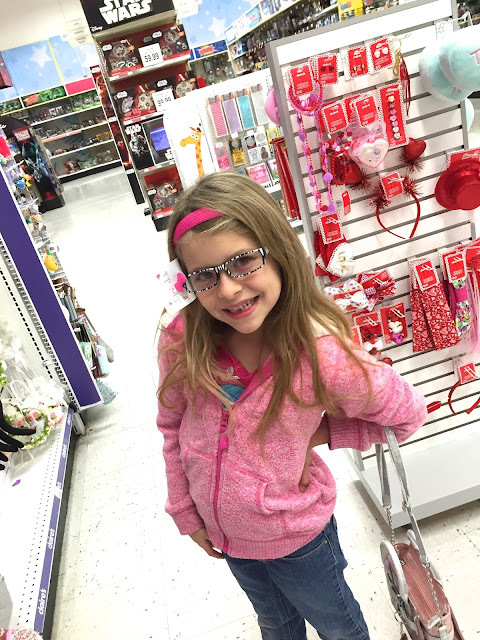 Toys R Us has Claire's merchandise in it, so your daughter will spend a lot of time trying on the various items. Necklaces. Headbands. Purses. Glasses. At this point, the men in your family have escaped to the video game section so it's just you. She'll also want to check out the decor. "Should I hang this up in my room?" Then she'll get offended when you aren't mustering the proper enthusiasm. 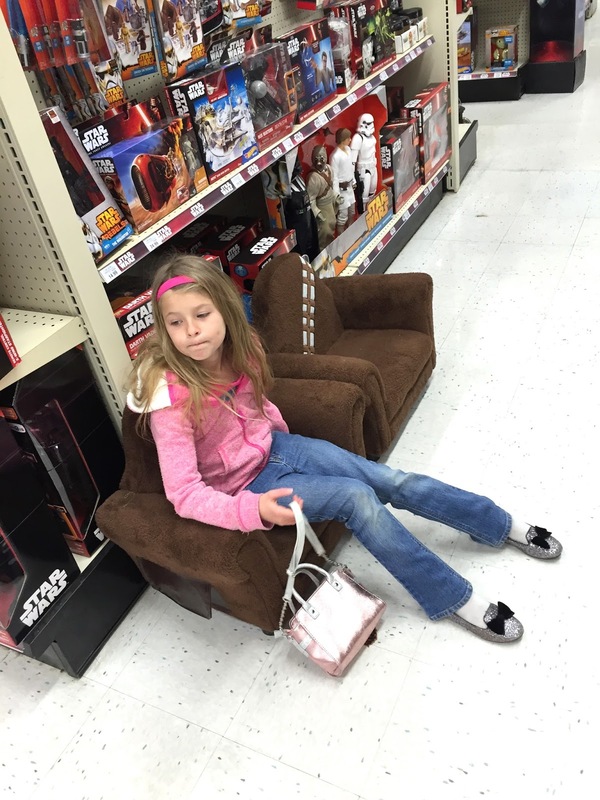 "I just feel like you're not caring...OH, should I get this Chewbacca chair?" *Checks the price* "Oh. Never mind. It's too much money." She'll always find the Beanie Boos. Always. "I already have a lot of these." Then she'll be all, "Check out the Chubby Puppies," and you're inwardly like, "WTF?" She'll decide she wants a new baby doll. The faces will traumatize you. Meanwhile, your daughter is like, "Look how adorable!" and you're thinking, "Please don't get that one or else I might not ever sleep again." "I should get accessories for the baby!" You remind her she has enough crap in her room. There are bottles. Blankets. Stuffed animals. 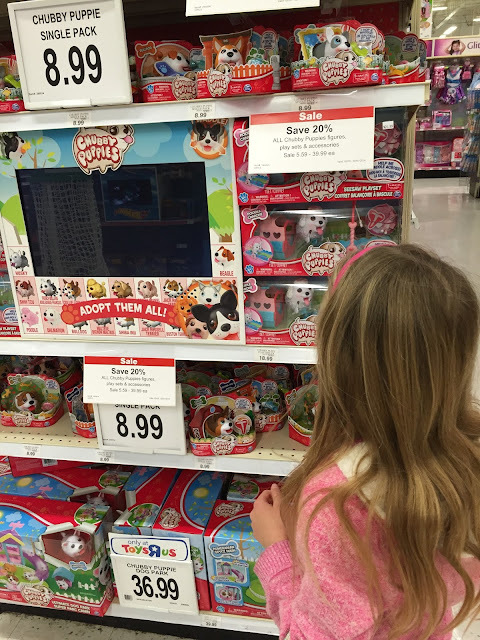 She has the attention span of a gnat, so she'll suddenly go down ANOTHER aisle and get excited when she sees a Fur-Real Pet pug. Why? Because Dan, a popular You-Tuber, has a pug and she has decided she NEEDS a pug. She's been pressing the iPad in your face for a week. "Look! Look at Dan's pug! Look! Look, Dan fell asleep in the pug bed." 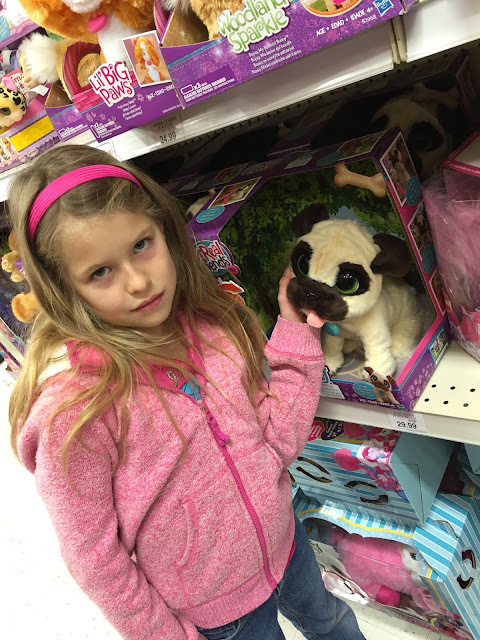 You tell her the Fur-Real pet is probably the only pug she'll ever have. 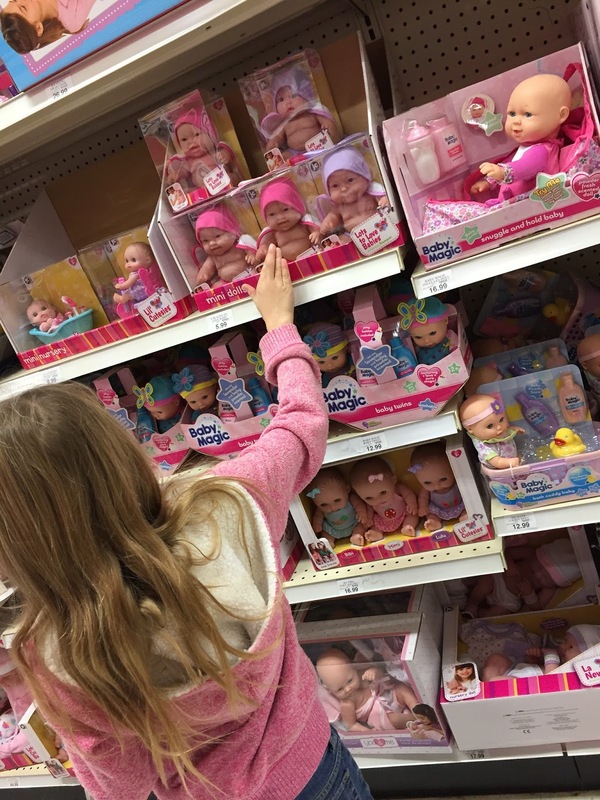 One hour later, she's decided on a doll she wants. The face does frighten you. After all of this, you think she'll love the baby doll, whom she's named Emily, and it'll be around her all the time. But after a week, poor Emily has been abandoned under a mountain of other toys. But then you remember that she's spent all her Christmas money, so it'll be a while before you have to go back to Toys R Us. 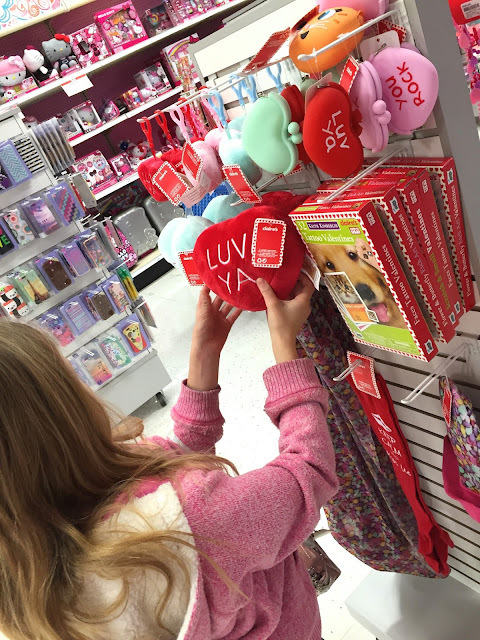 i still love claires! my lil sis and i still play with all the stuff like we're 8. i haven't been to toys r us in a while apparently! This brought back memories of when my daughter was little and talked her dad out of anything. Haha the faces on the baby dolls freak me out!!!! So disturbing! I loved the pug! I remember those days of endless Toys-R-Us treks. Now I get impatient just following my husband into the toy section at Wal-mart where he drools over the Air Hogs. Kudos to Natalie for spending her own Christmas cash!! This post just made me literally laugh out loud...chubby puppies?! Lol! I have 2 little boys and I can still relate! I made the rule "If you give my children money or gift cards you are responsible for taking them shopping to spend it." Giving me a chore to do along with my child's gift is not how this works. 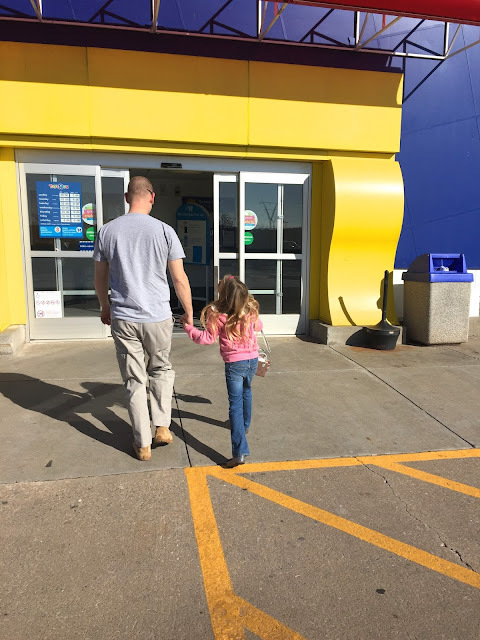 Now the kids are old enough they can shop themselves. Oh yes, I remember the days. 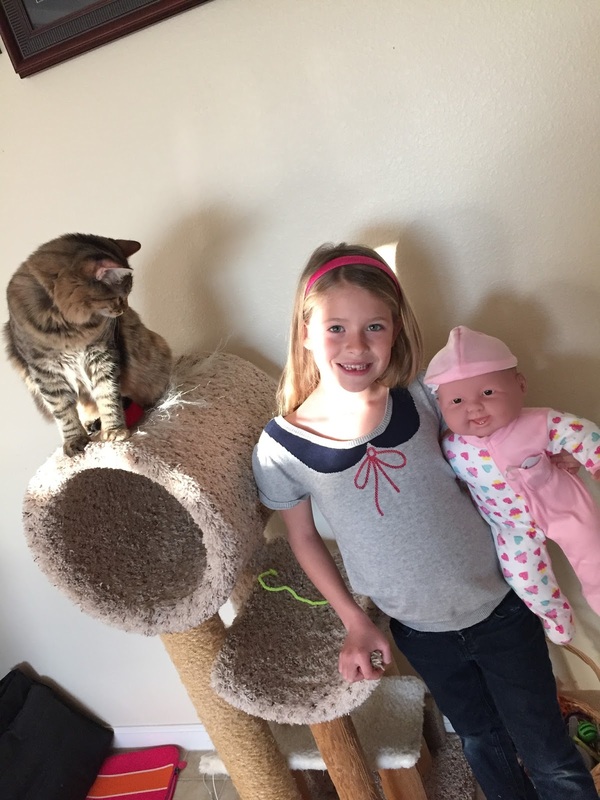 My oldest use to love the latest dolls. Didn't matter what it did she NEEDED it. I love how they are so much more careful with their money lol. Haha I love this! 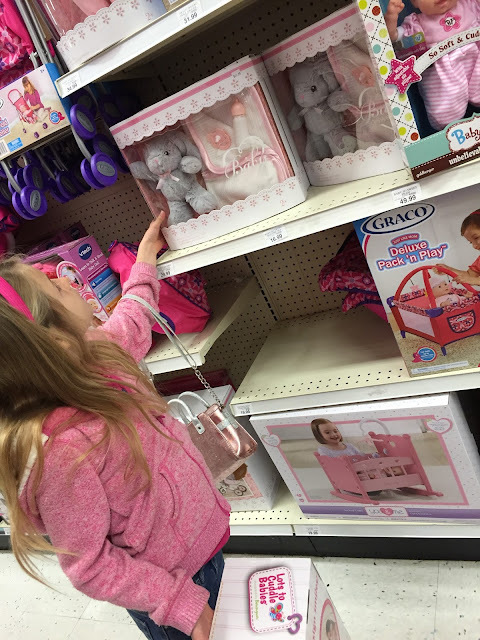 Grace is only 2 and she already loves going to the toy store to look at the toys. I can only imagine when she gets older the adventure it will be. haha, I'm nerding out over the Star Wars section. I have to go there for a blog thing this week. I'll leave the kids at home! 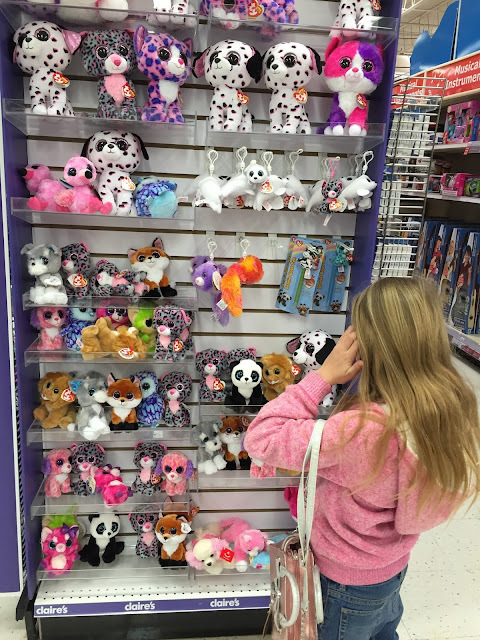 Scarlet always finds the Beanie Boos. 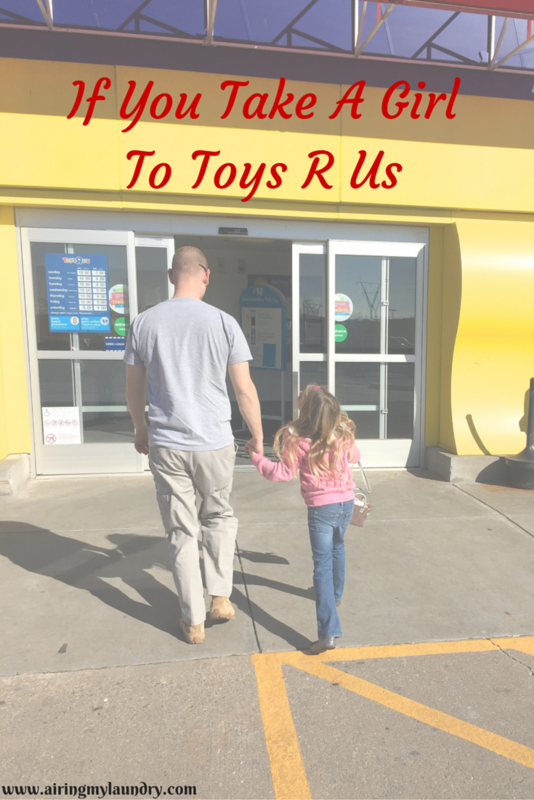 One of the perks of older kids - no trips to Toys R Us. Haven't been there in years! AHAHAHA Seriously, what is up dolls and their scary faces..! I would have 'mares too! !